Who WE ARE? 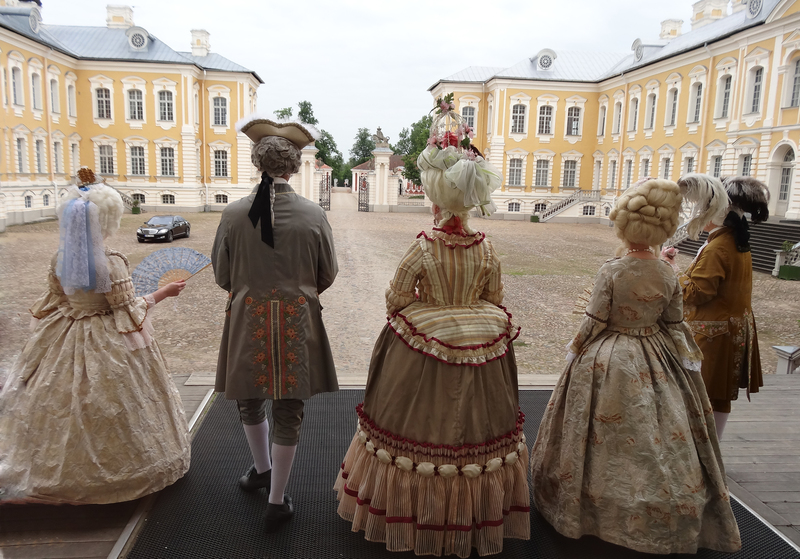 Representing a team of passionate re-enactors and history enthusiasts we are in love with astonishing beauty and refined charm of rococo style. What WE DO? To share our knowledge, talents and obsession (in a good way) for fanciful, dream-like 18th century we provide living history performances. Wearing elaborate, historically precise costumes we portray representatives of the noble society and deliver refined entertainment for diverse audiences. 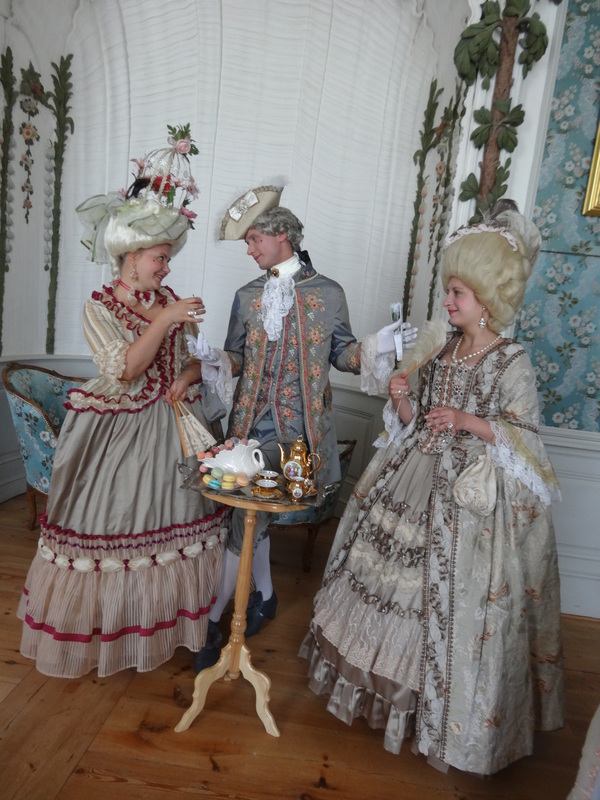 We assure that once you become our guest you will gain extraordinary, sensory cultural experience and will be able to relive the past and brightly memorize the spirit of the 18th century. 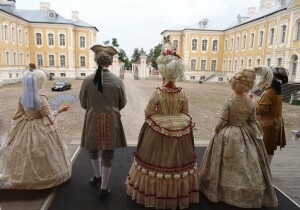 With great respect to the history we provide highly interactive, entertaining, family-friendly and educational presentation of episodes of the past.We are trying to deliver the spirit of the 18th century and reconstruct the historical atmosphere precisely, considering the high demands and wishes of our clients. Our services have gained popularity among visitors from all over the world and it is the sign of quality. To see the full description of provided services please kindly visit our SERVICES page! Where ARE WE? Our ‘main residence’ is the fascinating RUNDĀLE PALACE, the former summer residence of the Duke of Courland. 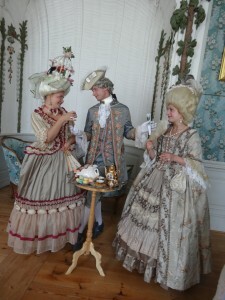 Its exquisite, elaborate and authentic rococo style interiors set the high demands of our historical costumes. But we also love to visit wonderful MEŽOTNE PALACE. We are happy to share the story of Princess Charlotte von Lieven during an elegant program called “Neoclassical Country Idyll”. But if you have chosen some another place for your special event we can relocate as well. What ELSE WE DO? 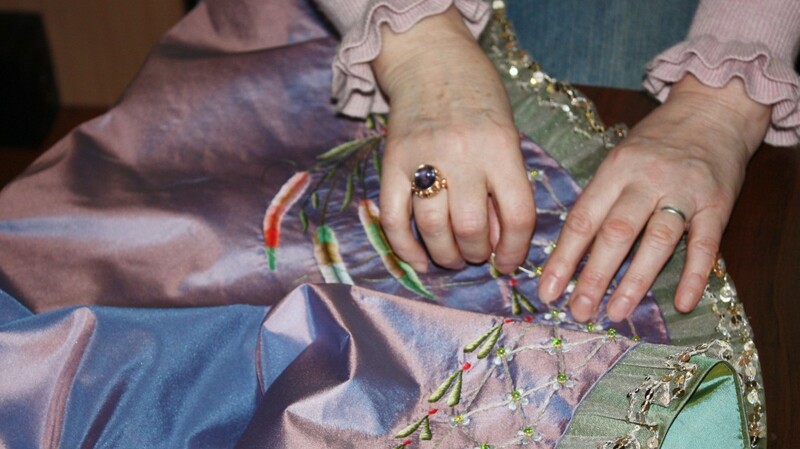 We study the history of fashion and the original garments to reproduce accurate historical costumes. 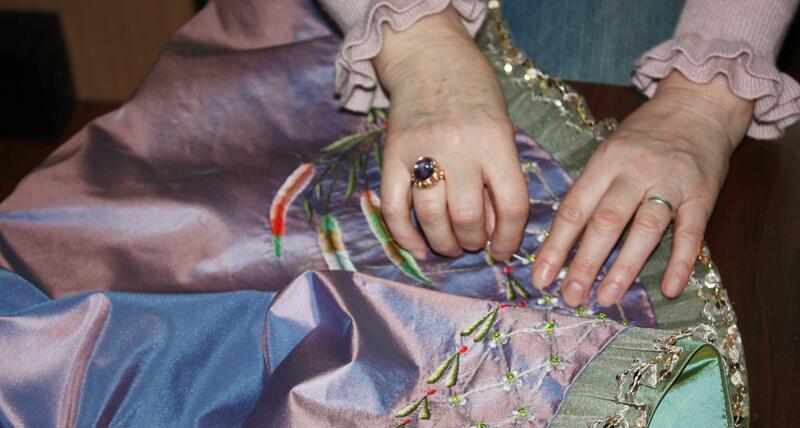 What is more important we create costumes, accessories and hairstyles all on our own and we truly love doing it. Keeping in mind how you can take a piece of gallant century with you, we create exquisite accessories, gifts and souvenirs in the spirit of rococo style (handmade of course).